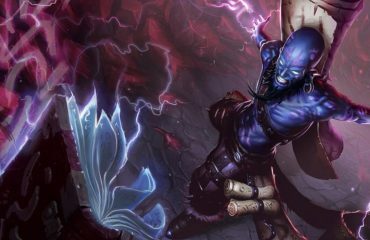 In the League of Legends universe, Sion, the undead juggernaut, was a Noxian war hero who was brought back from the dead to serve the empire. In the game, he’s a surging freight train that can take and deal huge amounts of damage. But before we get lost in translation, let’s define what a juggernaut is. Juggernauts are the League’s titans who make short work of anyone who dares to cross their paths. When you think of these champions, these traits should come to mind: brute force, melee, durable, immobile. Classic examples are Nasus, Garen, Darius and Skarner. There are two types of juggernauts: the freight train and the raid boss. Both types are able to deal and sustain massive amounts of damage and are vulnerable to kiting. Freight trains, however, focus on Auto attack (AA) and Attack speed (AS) and can gain burst of Movement speed (MS) to offset their vulnerability to kiting. Raid bosses, on the other hand, have some ranged abilities and better Crowd control (CC) than freight trains. Sion is a tank whose abilities scale well and require actual aiming. He does well in solo lanes and the jungle. His Decimating Smash deals plenty of damage and, if properly charged, will stun his enemies. Sion ult is what really makes him a good jungler. With Unstoppable Onslaught, Sion charges forward at max speed and is unstoppable by any enemy ability until it hits an enemy champion or terrain. When he comes in contact with an enemy champion, Sion’s ultimate ability stuns the target. Your ult is then complemented by Soul Furnace which goes off immediately after stunning the enemy. You then deal the death blow with Decimating Smash. For most champs, this combo is fatal, but if you’re up against another tank, chase him with Roar of the Slayer, to slow him down, making him easier to kill with melee attacks.